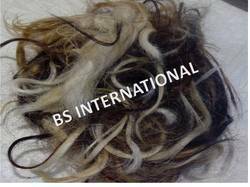 We export superior quality Goat Hair These Tail Hair are available Natural Colour With Washed will Use Paint Shoe Brush Material at industry leading prices & can also be customized as per buyer's requirements. Best quality in market with compitative price. Bestowed by a progressive production setup, we have attained specialization in presenting Buffalo Tail Hair to our patrons. Owing to the enormous domain proficiency and in-depth market understanding, we have emerged as the foremost providers of Cattle Tail Hair. Animal Hair Brown Cut Size Ready 2 1/2"
We offer highly durable range of brushes that is manufactured from superior grade of raw materials. We are engaged in offering our clients wide range of Ox/Buffalo Tail Hair. Procured by our reliable vendors, these are fabricated using premium grade basic material. We supply all the Hair in compliance with international standards and are appreciated for strength, durability and corrosion resistance. Further our wide range of Hair is available in various colors and at market leading prices. 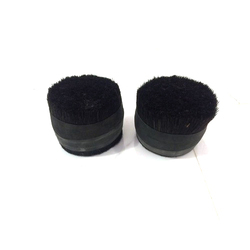 We are the leading manufacturer of a class cattle tail hair. In order to retain remarkable position in this industry, we are providing a wide array of Angora Rabbit Fur.